The problem with cults is that it is hard to convince people that they actually teach really bizarre or far-fetched doctrines. It’s hard to reconcile that they push such illogical concepts on people contrary to human reason or biblical truths. The controversial New Breed doctrine goes under many different names, although it is often called ‘Manifest Sons of God’ theology by discernment ministries in the 1980s. One such cult is the New Apostolic Reformation (NAR) who believe they will raise raise up a generation known as the New Breed. This New Breed doctrine teaches that a generation of Christians will become “divine” or “God in human flesh” and will manifest Christ here on earth with powerful signs, wonders and judgments to cleanse the church and the world of all sin so Christ can return. WHY SHOULD WE CARE ABOUT THIS NEW BREED NONSENSE? The reason why it is important to familiarise yourself with this teaching is because it is EVERYWHERE. You will see this theology emerge again and again in NAR revivals or in their attempt to promote conferences. You can detect it behind the theology of very popular movements that try to hide their theological ties to the NAR. You see this in Lakewood Church (their worship label is ‘New Breed’). Hillsong’s Bobbie Houston believes her sisterhood will raise up a generation that will usher in Christ’s return. Lou Engle and Bethel Church were no exception to New Breed hysteria in their latest Azusa Now revival attempt in 2016. Lou Engle Responded to ‘The Call’ in his attempt to summon the New Breed (Engle calls them the ‘Jesus Movement’ and the Sons of Thunder) to be made manifest at this event. There are sermons, books and sessions teaching this subject by popular NAR teachers such such as Paul Caine, Bob Jones, Todd Bentley, Patricia King, Matt Sorger, Lou Engle and so on. One person particular who really popularised this notion was NAR “Prophet” Rick Joyner. Don’t question the prophet and his holy books. His armies are great. 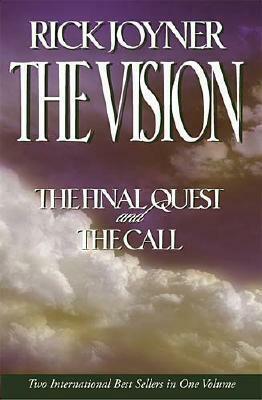 Rick Joyner claims he got a series of visions from God and thus wrote two books titled “The Final Quest” and “The Call”. The next level of revelation is a conscious sense of the presence of the Lord, or the anointing of the Holy Spirit, which gives special illumination to our minds. This often comes when I am writing, or speaking, and it gives me much greater confidence in the importance or accuracy of what I am saying. Source: Rick Joyner, The Final Quest, pg 9, 10. Source: Rick Joyner, The Final Quest, pg 9. So who does Rick Joyner claim can operate from a higher authority than the bible? He does. “The visions contained in this book all began with a dream. Some of it came under a very intense sense of the presence of the Lord, but the overwhelming majority was received in some level of a trance.” – Rick Joyner, The Final Quest, pg 9. This is WHY Rick Joyner’s material influenced Christians all over the world and why many Christians treat him as an infallible prophet. If you criticize him, you are the one who is not the Christian and you are the one who is in the “devils army”. It’s this type of divine exaltation that really needs to make us question what Joyner is pushing in his material. 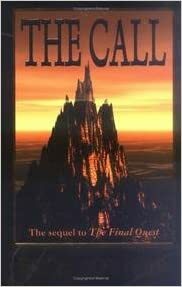 Remember – the ‘Final Quest’ and ‘The Call’ are a series: you cannot separate one work from the other. Thus, according to Joyner, both works are infallible and greater than scripture. It’s important in their end-time NARschatology that the NAR DEMAND unity at all cost in the church. This unity plays a pivotal in their end-times church NARmy which supposedly triggers the rise of the New Breed Manifest Sons of God warriors to rise up and bring God’s judgment against the false church and the world. You will notice this in the audio/writing below and you will also notice Joyner’s heretical Dominion theology and gospel. Another man who looked almost exactly like Abel came and stood beside him. “Love,” he said. “You must love one another. You must love the earth, and you must love life. My sin released the death that now flows as rivers upon the earth. Your love will release rivers of life. When evil reigns, death is stronger than life, and death prevails over life. When righteousness reigns, life prevails, and life is stronger than death. Soon the life of the Son of God will swallow up the death that was released through my disobedience. It is not just living that you must love, but life. Death is your enemy. You are called to be a messenger of life. “When the Lord‟s people begin to love, He will use them to release His judgments. His judgments are to be desired. The whole world is groaning and travailing as it waits for His judgments, and when they come, the world will learn righteousness. What He is about to do, He will do through His people, and His people will stand as Elijah in the last days. Their words will shut up the heavens or bring rain; they will prophesy earthquakes and famines, and they will come to pass; they will stop famines and earthquakes. “When they release armies in the heavens, armies will march on the earth. When they hold back armies, there will be peace. They will decide where He shows mercy and where He shows His wrath. They will have this authority because they will love, and those who love will be one with Him. What you will see through that door is to help prepare you for what He is about to do through His people. “I know authority. I also know the responsibility of authority. Because of the great authority that I was given, I am responsible for what has happened to the earth. Even so, the grace of God began to cover me, and God‟s great redemption will soon swallow up my mistake. Peace will be taken from the earth, but you are called to help restore it. Peace prevails in heaven, and you are called to bring heaven to earth. Those who abide in His presence will know peace and will spread peace. “What about the earthquakes, famines and even wars that you said we would release on the earth? Won‟t this be releasing death?” I asked. “Satan has boasted since the cross that Jesus could redeem men but could not change them. During the times of the greatest darkness and evil that are about to come, His people will stand as a testimony for all time that He not only redeemed His people from sin, but He also removed sin from them. Through them, He will remove sin from the whole earth. He will now display to the whole creation the power of His new creation. He did not come just to forgive sin, but to save mankind from sin, and He is returning for a people who are without stain from the world. This will come to pass in the most difficult of times. “I was created to love the Lord and to love the earth, as were all people. I have loathed the sight of the world‟s rivers becoming sewers. Even more have I loathed the sight of what has happened to the human mind. The philosophies of the human mind now filling the streams of human thought are as loathsome as the sewage filling the rivers. But the rivers of human thought will one day be pure again, just as the rivers of the earth. By this, for all time to come, it will be proven that good is stronger than evil. Google gives some PDF links for that book too. Churchwatchers, Rick Joyner is a special peeve of mine. Years ago I tried to warn an acquaintance (and was personally rejected for doing so) about all the weird prophecies and thinly veiled warnings to gray coat Christians (old wine/ human wisdom) to stop fighting against blue coat Christians…. (New wineskins/ New revelations of the “Spirit”)… or else spiritual war between opposing groups is inevitable. e.g. 1996 entry in which his position is far clearer than recent ones (too many false prophecies has made him more careful in choosing his words). On a Charismania disease scale: if Hillsong is a bad case of the ‘flu then NAR is the bubonic plague. On an addictive drug scale: if Steven Furtick is marijuana then Joyner is ice. The only cure is the bible correctly taught and received. If all NAR followers are like my acquaintance then only the (true) Holy Spirit can save them from deception, because they will kick and fight against those of us who try to convince them by human reasoning alone (and therefore fail like I did). Duped “Christians” who refuse to study the Bible and believe the Bible, are really to blame for this. Rick Joyner and his NAR cohorts, are just products of these followers. Let me explain. The overwhelming majority of the most popular “Christian praise and worship” songs are penned by those in the NAR. It’s a disease that controls practically all of so-called “Christian TV”, most of “Christian music”, and most “Christian bookstores”. In other words, you have to depart from the entire “Christian community” to get away from it. I have heard endless people in the NAR folds saying how all of their leaders bring “hundreds of millions of people to Jesus” every year for the last decade. And so I had to do the math. And if they are telling the truth, then there are about 12 billion Christians in the world. Only problem is, there are only 7 billion people in the world, and 5 billion of those will tell you to your face that Christianity is false. The NAR doesn’t teach or believe the true Gospel of Jesus Christ, anyway. The NAR is controlled by Rome at its highest point (that’s why Rick Joyner is a Knight of Malta), and so Catholicism will once again attempt to be the world religion, this time using the NAR to dupe “Christians” that refuse to study the Bible and believe the Bible. Rick Joyner, Billy Graham Rick Warren, Joel Osteen, Jim Baker are openly declaring Mormons are Christians; members of the body of Christ! Such heresy is spreading like wildfire. We are in the midst of the great falling away in the history of the church. (2 Thes 2:3, 1 Tim 4:1) False prophets and false teachers, once bought by his blood, are sowing heresies denying the Lord (2 Pet. 2:1) Their lust for the approval of man is their downfall! The true Church of Yeshua has ONE Teacher and its NOT one of any of us, when men claim or except that title in the congregation they are already leading their followers astray. One big problem we all suffered is we knew the Bible stories, but we do not know or see the many facts that can help us know the Author of The Word, therefore many tend to usurp a role we are not capable of. As to the great falling away, we have been in it for some time now. Jude told us that in the last days they would turn the grace of God into lasciviousness which is wantonness. What do they want? First of all they deny Christ, how buy their wantonness. The first thing in wantonness is pride. What dose pride do? Causes us to fall, because pride comes before a fall. Their pride in the flesh is their fall. But not these alone, no you have to look at religion as a whole and all religion brings about one thing. Self righteousness. Why was it such a hard thing for those in john chp.6 to understand that they must first eat Christs flesh and drink his blood, because they couldn’t come to him first by the work of God the Father who had to draw them to him. We have all sects coming up with all kinds of ways to bring themselves to God by the will of the flesh, (John 1:13). And they have received nothing and so they doing the offering. They have not humbled themselves before God in repentance or much less belief of Christ by denieing that it’s God that must first do a work in us and not the other way around. Lydia’s heart had to first be opened by God to see( Acts 16:14) , those who are taught in meekness must have their eyes opened by God but first if he peradventures to do so so they can not recover themselves from the snare of the devil at his will(2 Timothy 2:25). They refuse to give God the glory or praise to the fact that it is him who dose a work in us for it is God who both wills and to do his good pleasure in us(Phillip.2: 13). No those who have fallen away can not say as Paul did for by grace are you saved through faith and that not of your selves it is a gift of God. They want earthly things, and their excuse will be but did we do many…pride. read both books by Rick Joyner, was really blessed!